This professional extra large Perspex lectern is made from clear acrylic – it looks great and it’s extremely practical too! 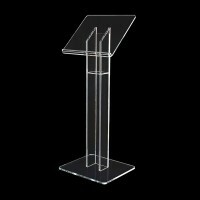 It’s manufactured from rigid 12mm Perspex, ensuring a strong, robust stance when constructed. 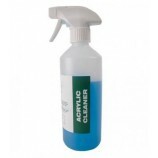 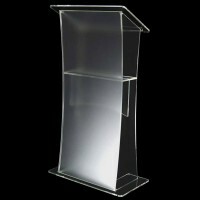 It boasts an acrylic bonded construction that’s sure to stand the test of time when looked after correctly. 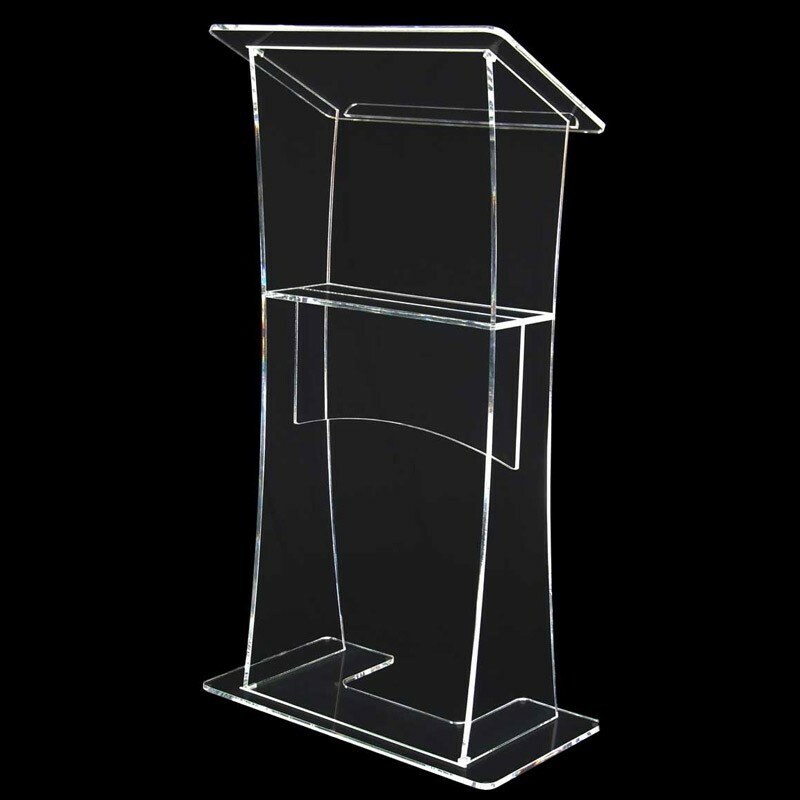 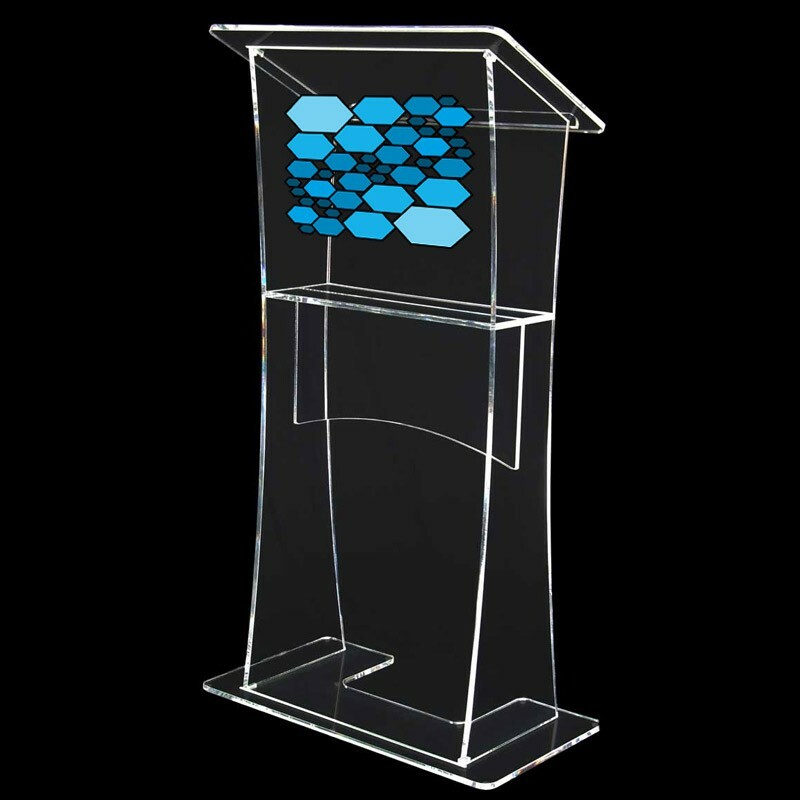 A Perspex lectern such as this can be used in any surrounding, including meeting rooms, lecture halls and even on exhibition stands. With this Perspex lectern we have the ability to offer a custom logo printing service. 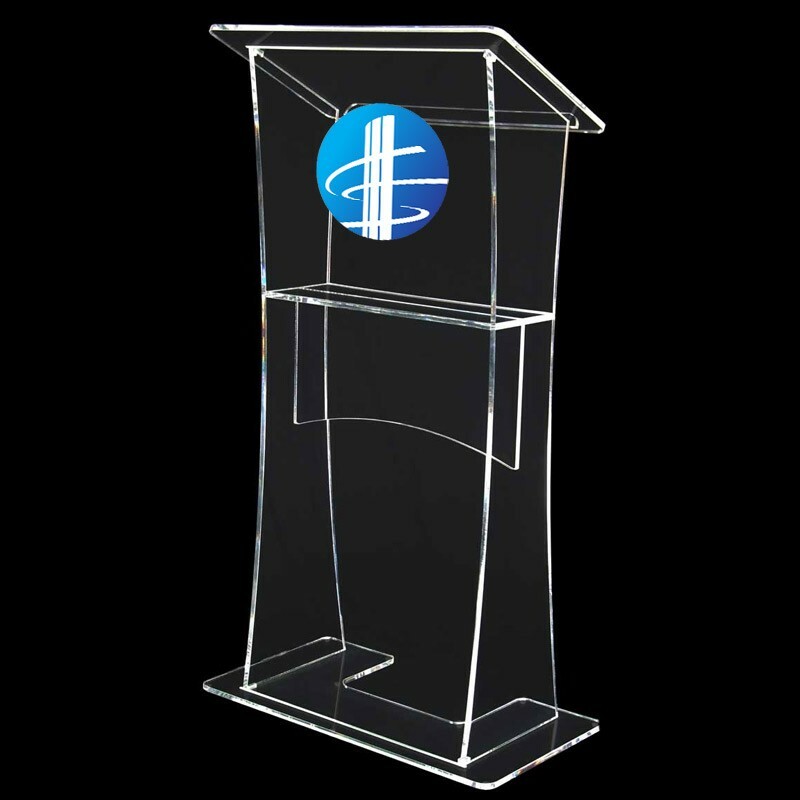 If you’d like to brand this lectern with your company’s logo for that added piece of professionalism, we can do that for you! 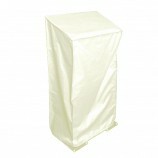 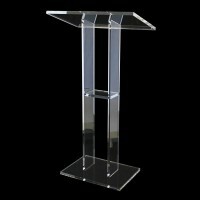 This lectern comes with a two year guarantee and it stands at 1200mm tall. 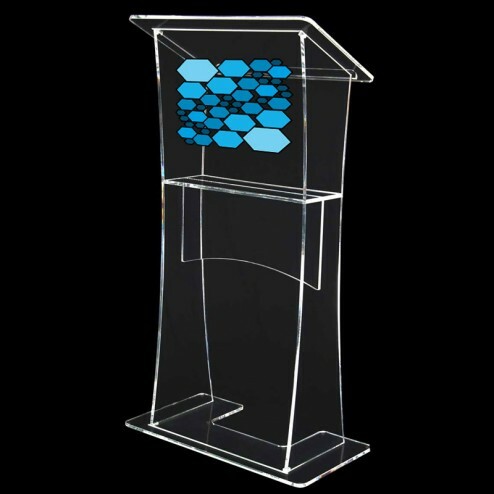 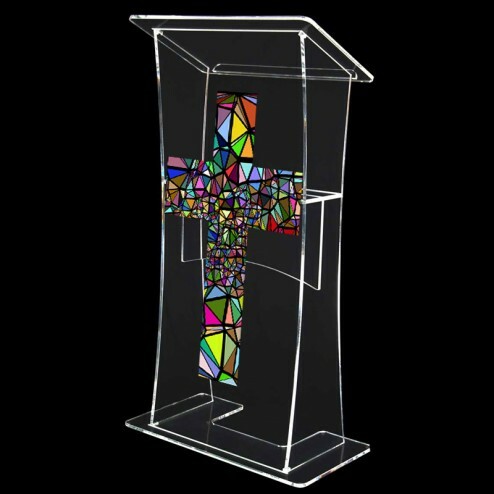 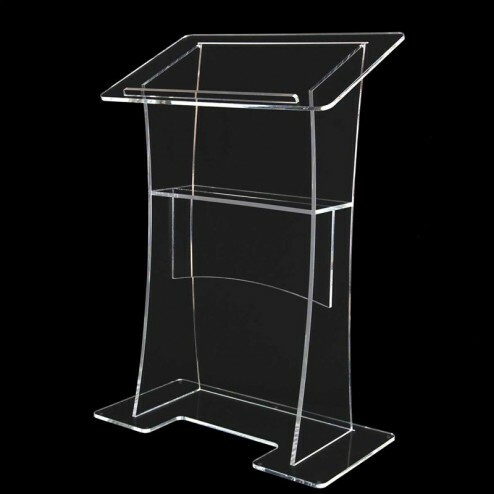 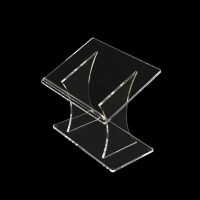 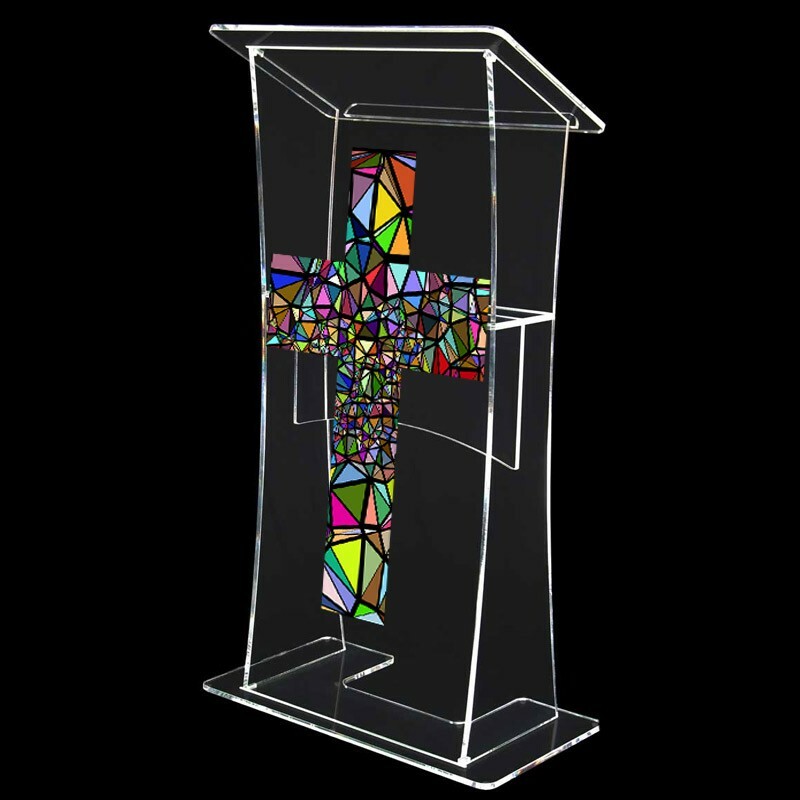 Order your Perspex lectern with us now and we’ll ensure your podium is delivered within five days!